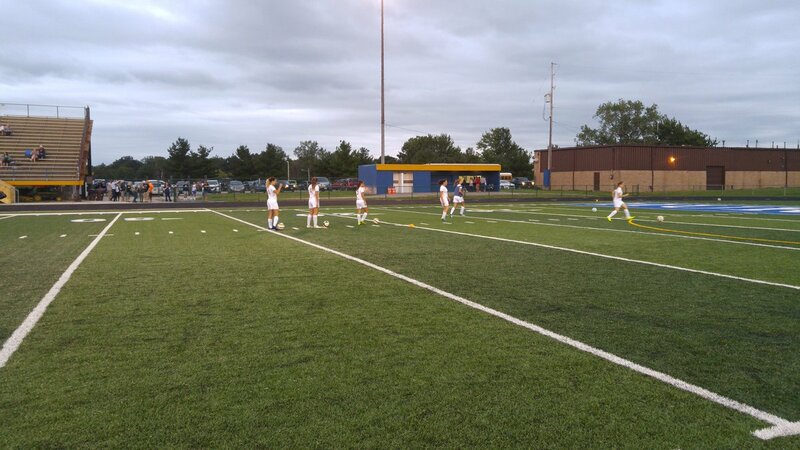 BROOKLYN, Ohio – The visiting Brookside Cardinals invaded Brooklyn High School in search of their first win on Wednesday night, but the feisty Hurricanes gave them all they could handle before falling to the Cardinals 4-0. It was a gritty battle that saw Freshman goal keeper Shelby Eperjese save 17 of 21 shots for the Hurricanes. It was the Freshmen’s first night in goal, and after some early jitters she went on to have a big night. The Hurricanes allowed the Cardinals to control the action most of the first half. Brookside Senior Striker Madison Sours got the scoring going with a sudden breakaway goal at the 13 minute mark. Teammate Katyln Vanzant scored moments later to extend the lead to 2-0. Towards the end of the first half, it was Madison Sours again scoring on a beautiful corner kick. Down 3-0 at the half, it would have been easy for a team to give up, but the Hurricanes came out firing in the second half and actually out shot the Cardinals in the second half. They may have come up short tonight, but head coach Alison Rafter was pleased with her teams halftime adjustments and second half performance, despite the overall defeat. “Brookside was very aggressive in the first half and I told the girls to match that in the second half or things would get worse. I’m proud of the girls because they did in fact step up in the second half and begin to play more aggressive along with passing the ball better”,said Rafter. The Brookside Cardinals will look to stay hot next Wednesday as they travel to Columbia High School in search of their second win. The Brooklyn Hurricanes look to bounce back as they travel to Buckeye High School next Wednesday night as well in hopes of their first win of the season.